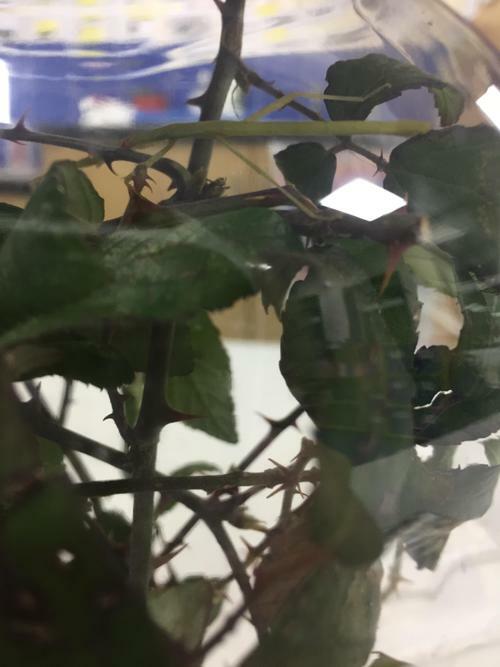 March 2019 - our stick insects are now approximately 3 inches long and are eating so much bramble! They seem to enjoy just hanging around but when you put your hand in their tank, they spin to life and climb very quickly. One ran up Mrs Smith's arm so quickly it ended up in her hair. 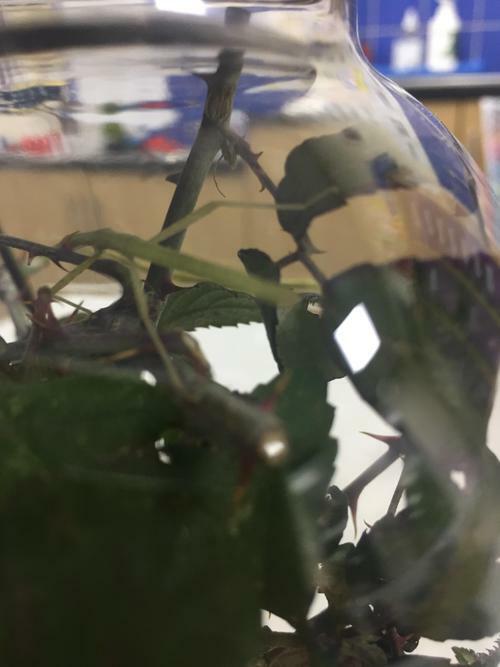 February 2019 - one of our stick insects have shed their skin and he looks huge! We are taking care as he is a bit fragile at the moment due to the shed. We need to remember to keep the moisture and heat high in the tank so the other one can shed too. No news on the eggs yet. 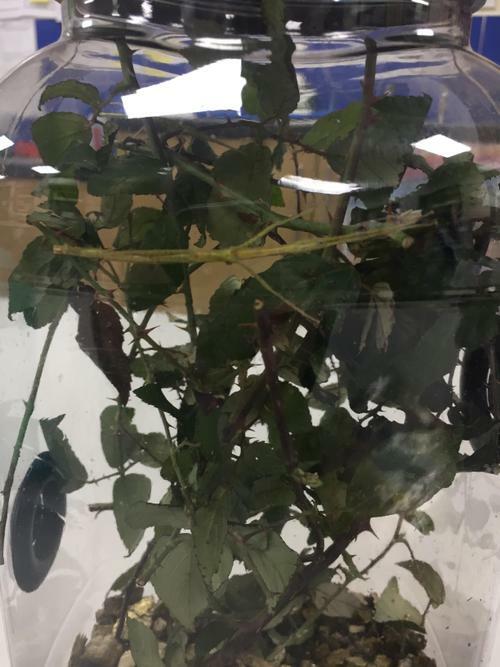 January 2019 - No news on the eggs but the stick insects have been transferred to the larger tank. 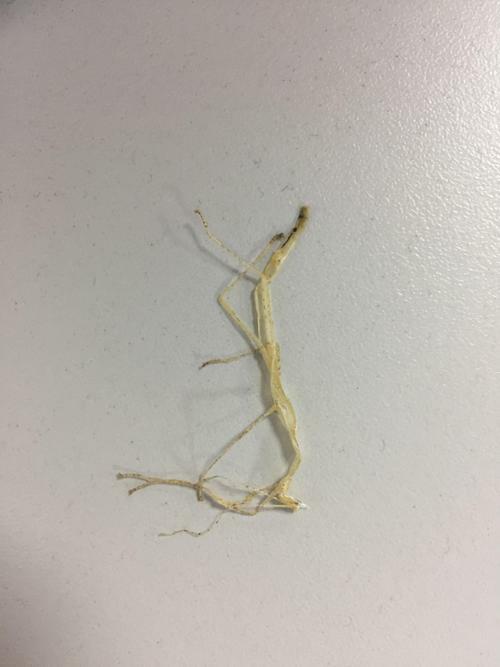 One has shed their skin already. 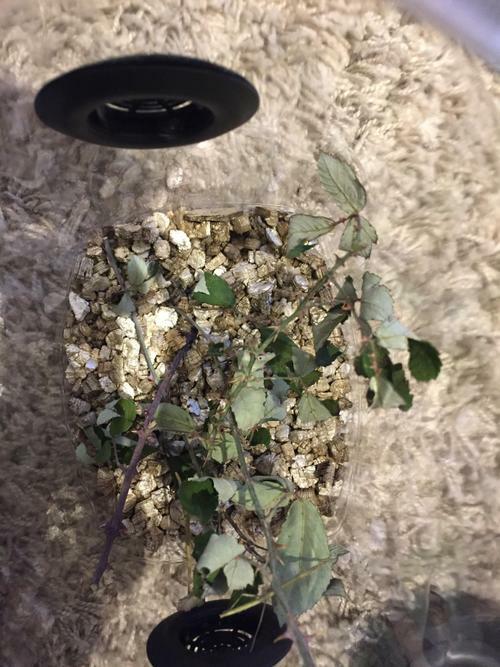 December 2018 - No news on the eggs. 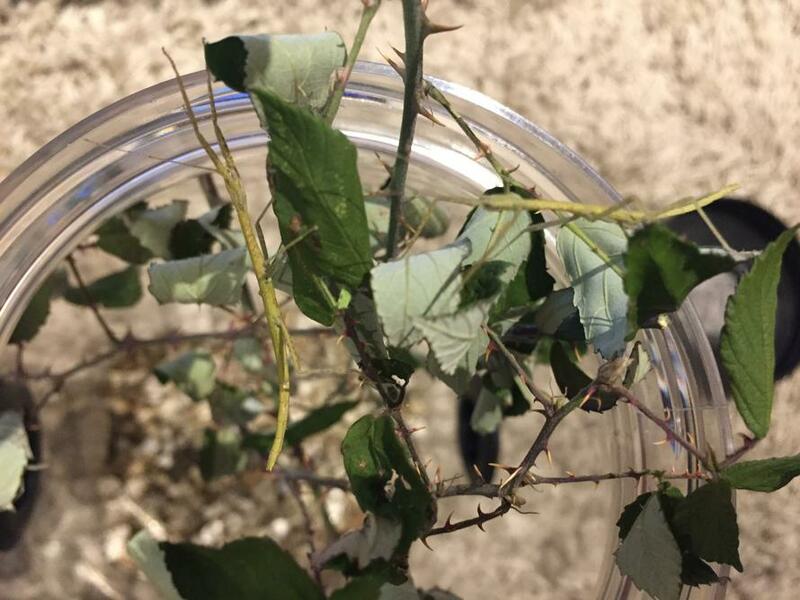 The stick insects seem to be getting too big for their temporary home, we think it is time for the nymphs to move house! 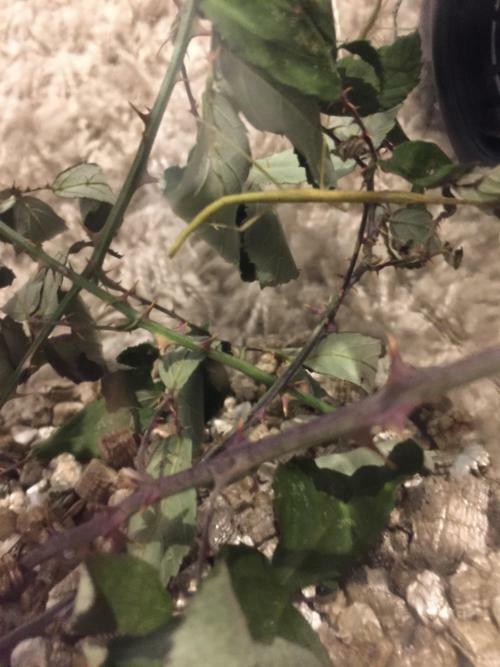 November 2018 - The stick insects have moved into a temporary home. It is a little larger than the container in which they were bought in but not as big as their final home. They seem happy as they are eating a lot of bramble; they are not so keen on privet now.